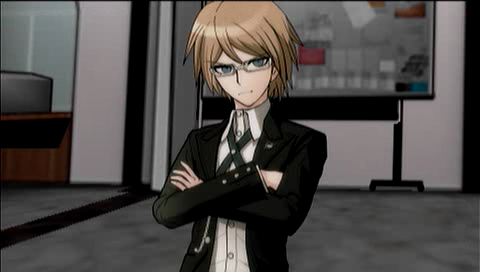 ...Togami-kun, is there something here? 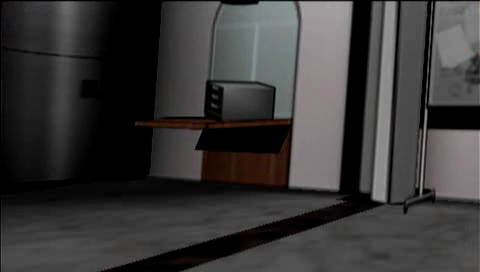 I think I somewhat failed in my job to show all the game's foreshadowing by neglecting to show there's a letterbox in the entry hall if you look to the right, and that it's a clickable object. 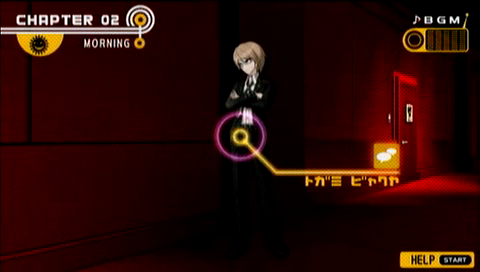 Naegi's reply when you did that until now was a simple generic "There's a letterbox here", though. 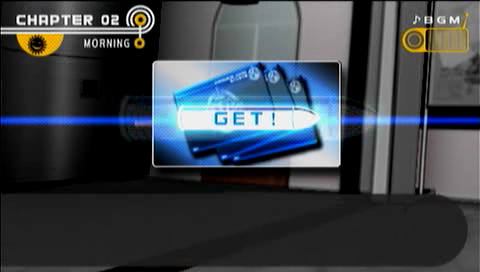 Are those... Electronic Student ID Cards!? Theres three of them! But, why are they in there!? Eh? Did you know about them? 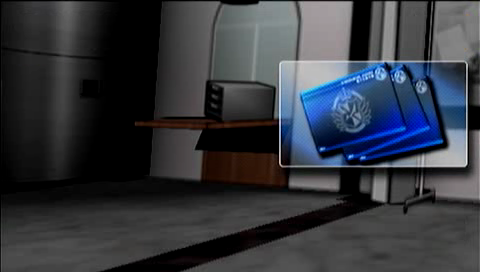 Whose cards are they? It seems that the ID cards of dead people are placed in this letterbox for safekeeping. 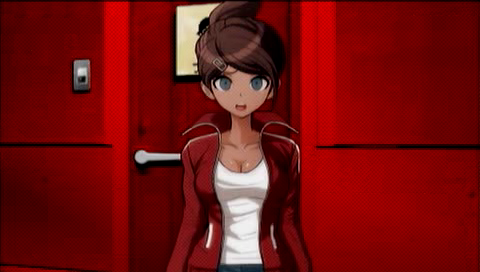 Enoshima-sans and Kuwata-kuns... and Maizono-sans...? Youre right... 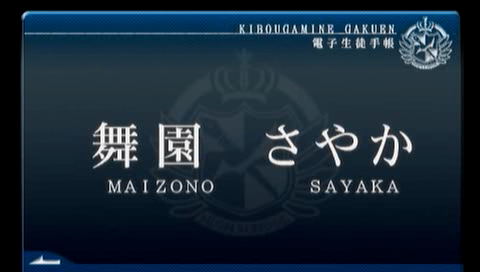 This is Maizono-sans card...! Do you understand now? 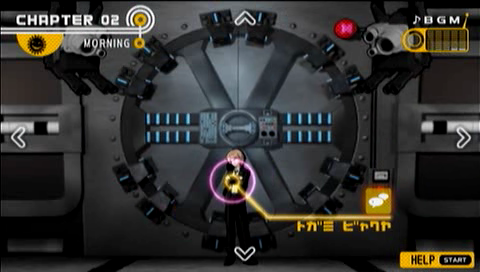 The meaning of the loophole I mentioned earlier...? ...Yeah, I think I do. 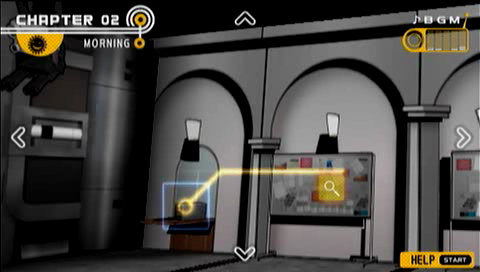 Electronic Student ID Cards in the Entrance Hall was added to your notes. Maybe its broken? Whose is it? 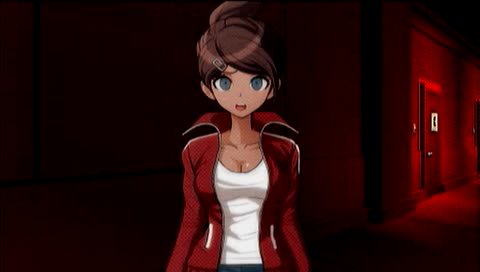 So, the one that doesnt work is... Kuwata-kuns? Hey hey hey hey hey...! These Electronic Student ID Cards. Theyre invaluable assets in our school life. Thats why they cant be destroyed that easily!! If I say it cant be broken I mean it cant be broken!! They can sustain a 10 ton hit, and are resistant to water 100 meter deep! It doesnt matter how many balls theyre hit with, something like that wouldnt break them!! Its a secret. 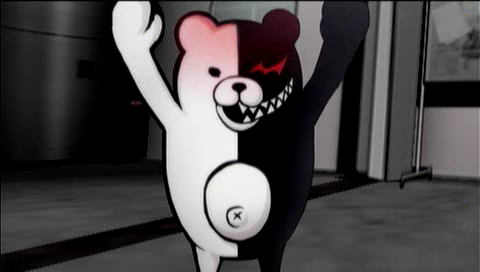 If I tell you and you destroy one it will be bothersome. 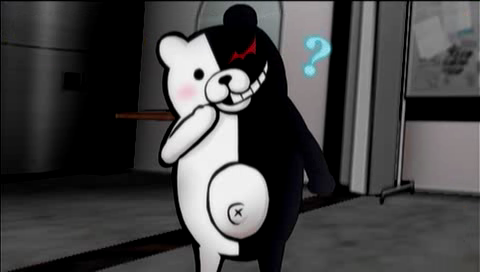 So, Kuwata-kun found that weak point by accident and destroyed his card? Here is what I think, though. 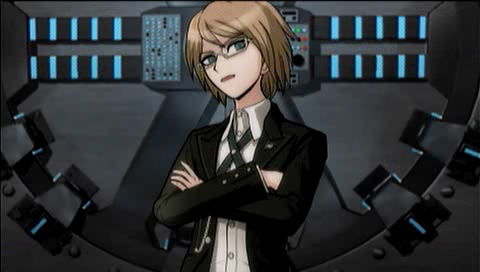 His Electronic Student ID Card isnt broken at all. ...What the hell was that, just now? Its not such a big deal. Most chances are it has nothing to do with this case. Broken Electronic Student ID Card was added to your notes. 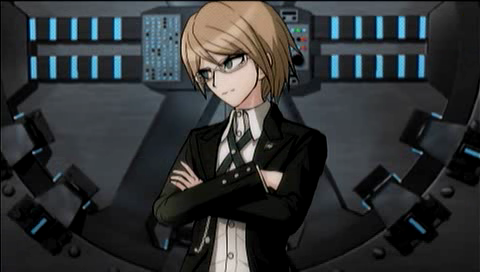 Well then, I think were done with the preliminaries. We should now get to the main investigation. 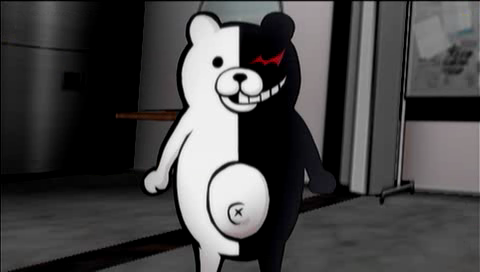 I want to reveal his true identity. 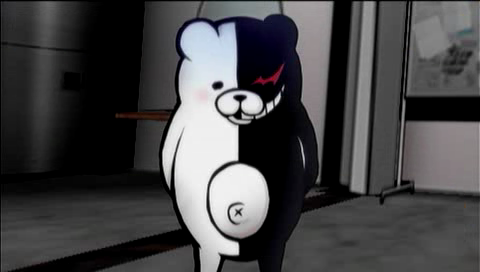 The identitiy of... the murderer who killed Fujisaki-san? ...and we're back in control. 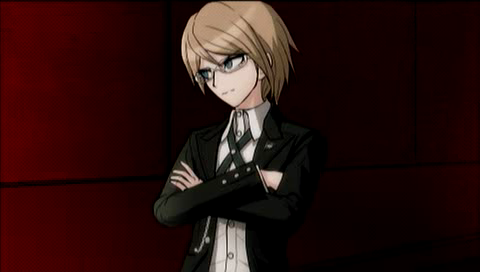 Nothing else of interest to look at, so let's ask Togami what that last line of his is all about. 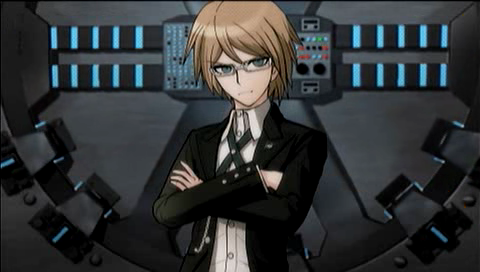 Togami-kun, when you said not exactly accurate... What did you mean? 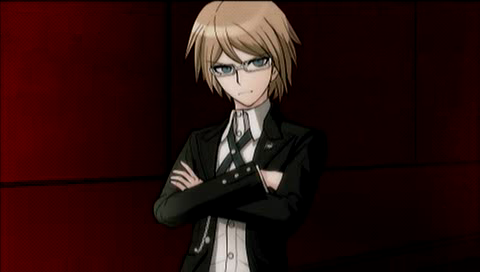 I want to expose Genocider Syo. 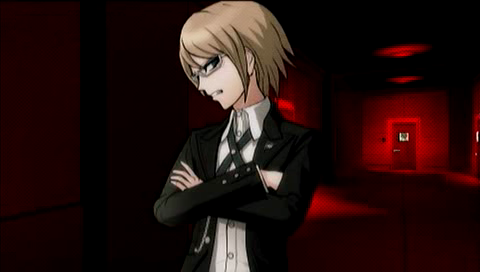 ...That it was Genocider Syo who killed Fujisaki-san? ...Absolutely. 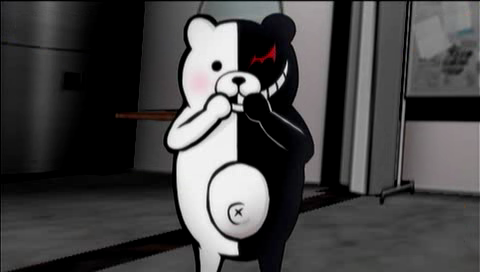 Its perfectly clear this murders culprit is Genocider Syo. Im confident. 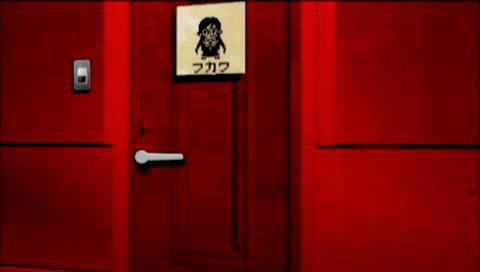 Genocider Syo is one of us. 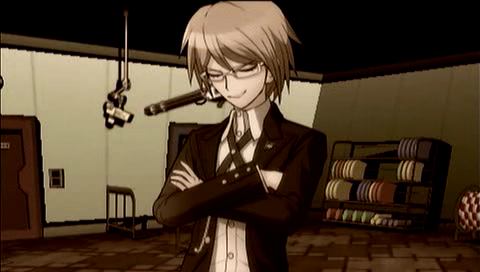 Genocider Syo... The same serial killer that was on the news, right? 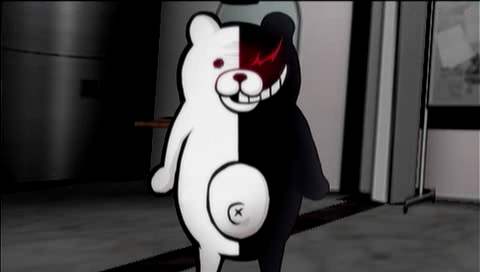 Can one of us really be such a cruel and unusual serial murderer...? 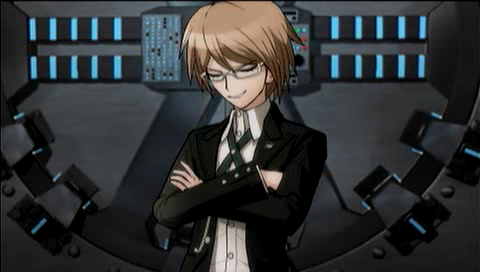 Youre confident... that that's the truth...? 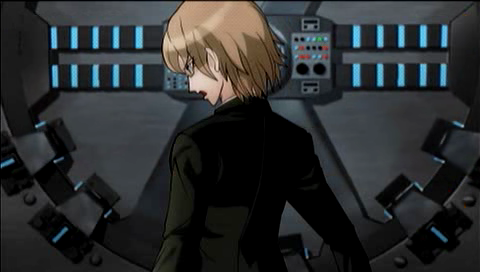 Im going to take you to a certain place now. I will show you my evidence there. 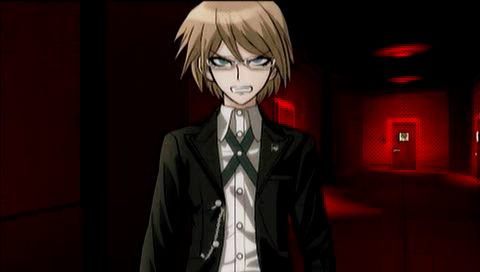 Evidence that it was Genocider Syo who killed Chihiro Fujisaki! 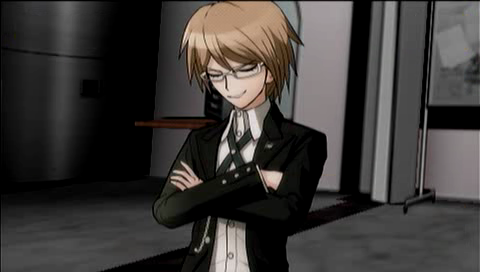 E...evidence... Is there really such a thing...? So come help me! Please!! 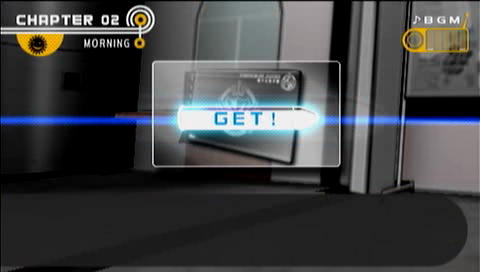 If she says so... Let's see what the emergency is. Its an emergency! An emergency! So please come help! But... but... Its really an emergency...! 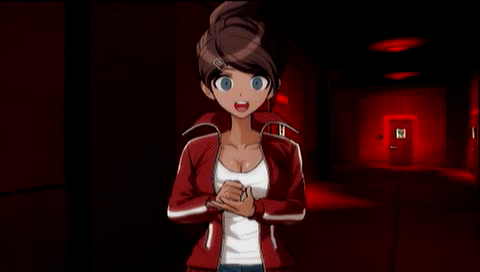 Didnt she already act strange when I last saw her...? 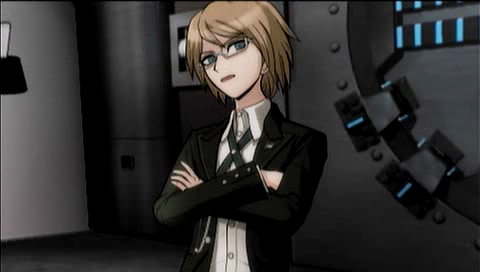 ...What should we do, Togami-kun? Dont make me repeat myself. Come quickly! Go on, go on!! 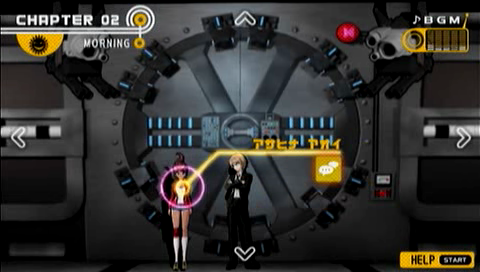 ...and the game warps us to the dorm area, just in front of Fukawa's door. Well then, whats so terrible? Why dont you try to approach her yourself...? 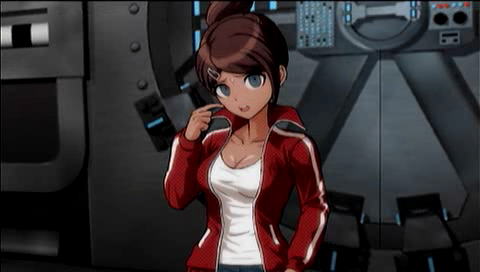 I am too lazy to make a gif, but it's worth mentioning Fukawa is shaking in this CG. I swallowed my breath involuntarily at the negative aura flowing from the gap in the door. Um... for now, can you just open the door and let me come in? 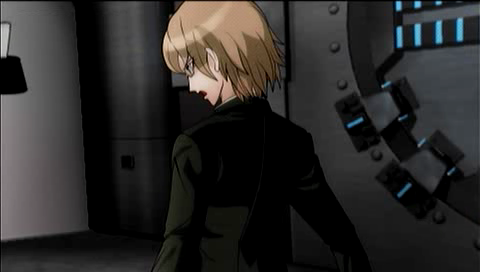 I... Im going to kick any killer... any murderer... out of here!! But... we really shouldnt just leave her alone... I thought about forcing the door open.. But it seems she blocked it from the inside. It wont open any farther. 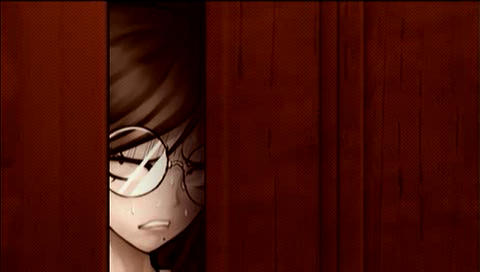 Shes even blocking her door... Is she really that scared...? Maybe she... shares Togami-kuns opinion? 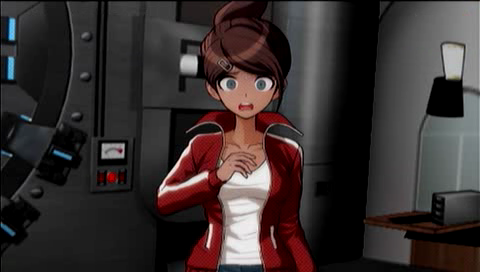 Maybe she thinks it really was Genocider Syo who killed Fujisaki-san? 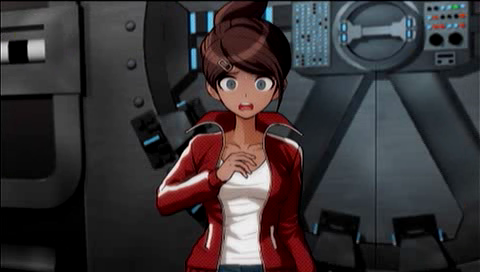 Is she really afraid of Genocider Syo that much? Is there no one around who can put her at ease? 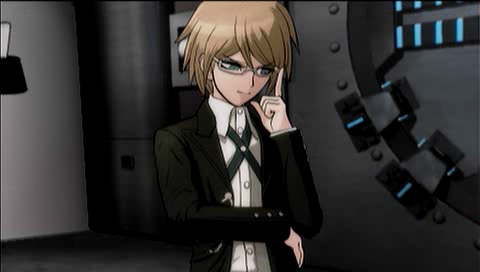 Hey, maybe you can convince her, Togami-kun? 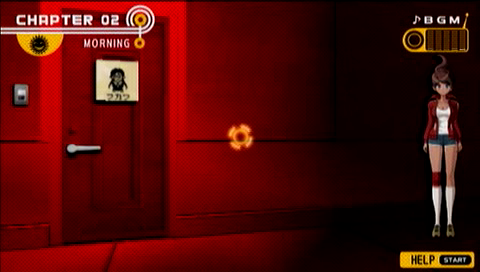 Can you ask her to come out of her room...? ...Eh? Did you really agree so easily? I guess everyone has some kindness in them! 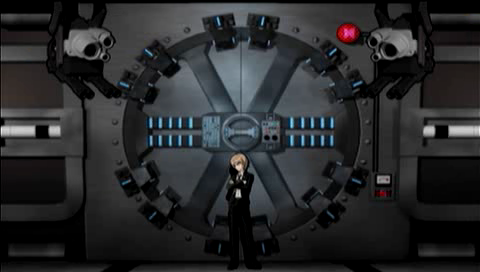 Togami went to the door without a word, and pushed the intercom button. Theres nothing we can do. Lets go back to our investigation. 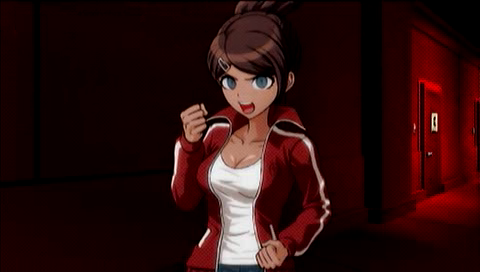 Hey, what did Fukawa-san mean just now? ...A promise? I have no idea. I think shes deeply delusional again. Y...yeah... I understand... Well, Im going to keep watch here for now. 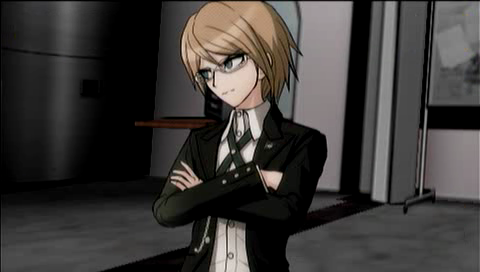 Togami-kun didnt even wait for my answer, and started walking away. On the way, I tried calling him several times. He not only refused to answer, but never even turned back and looked at me. He just kept advancing towards his destination.